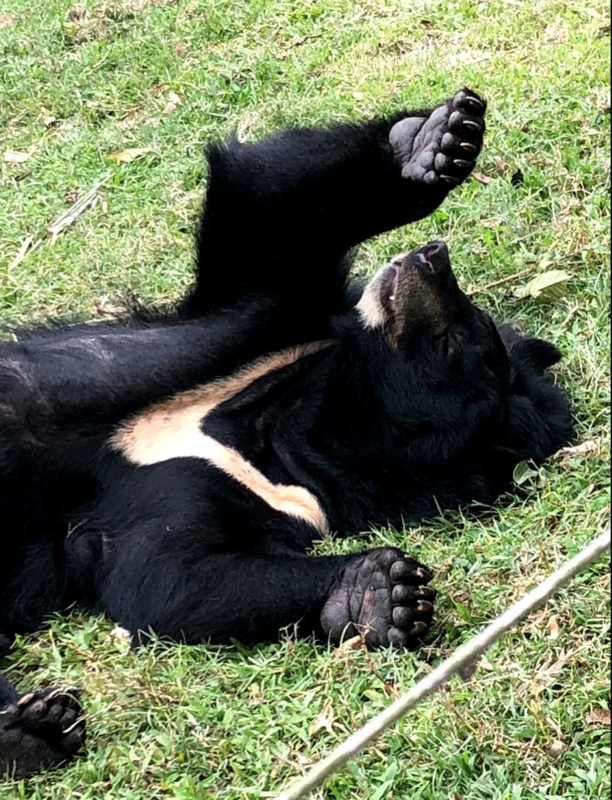 Rescued Bears in Vietnam: A Dream Visit! 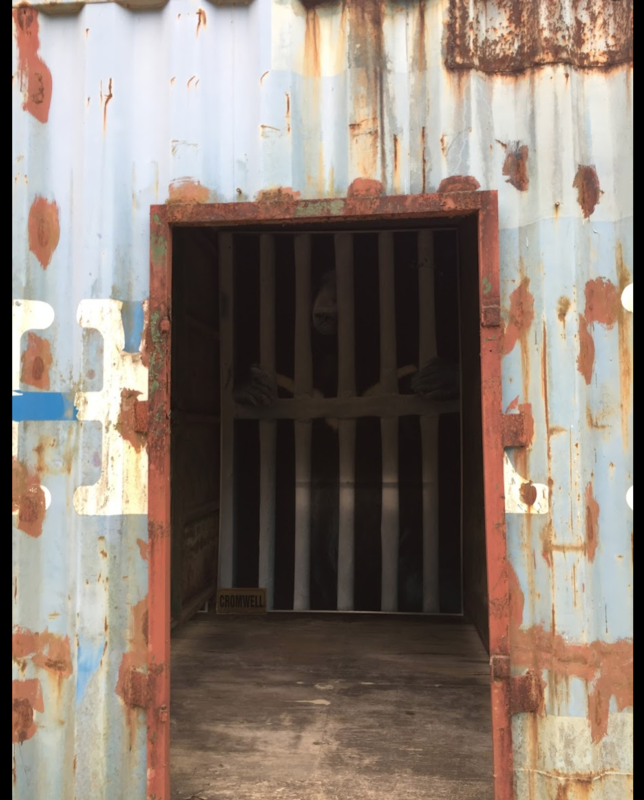 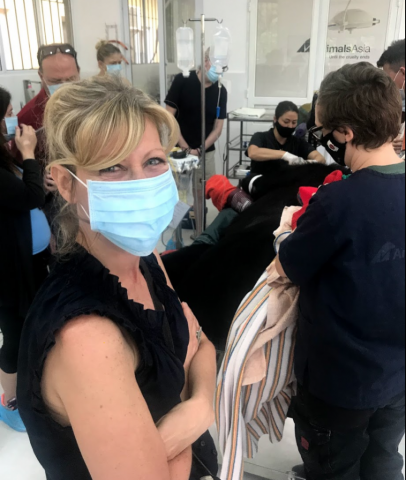 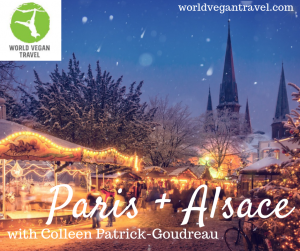 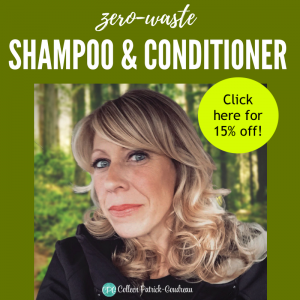 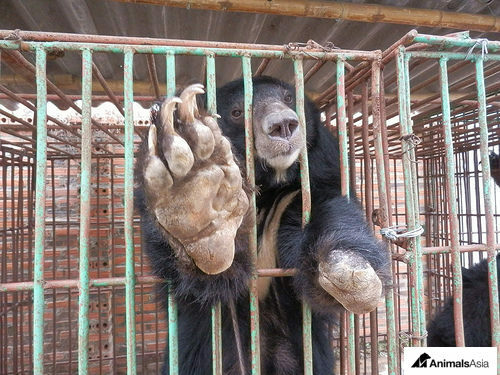 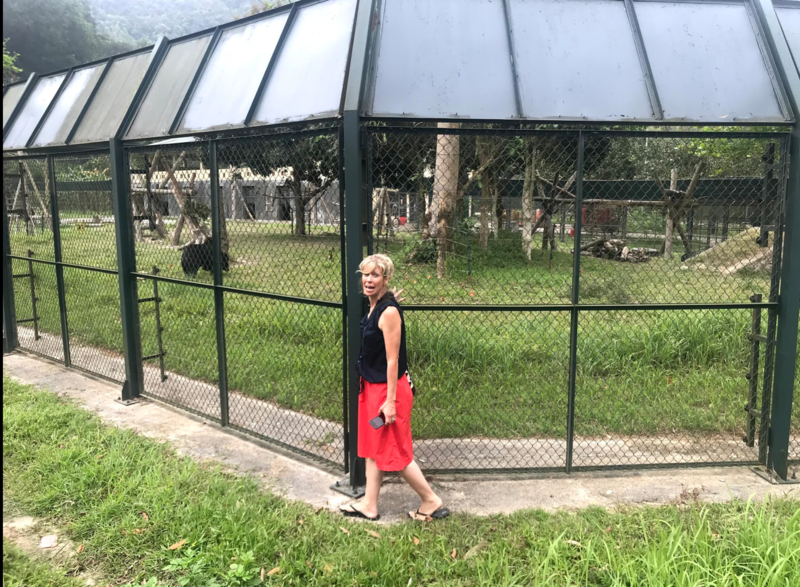 You have heard me talk many times about Animals Asia and the work they do to protect bears bred, trapped, imprisoned, exploited by the bear bile industry. 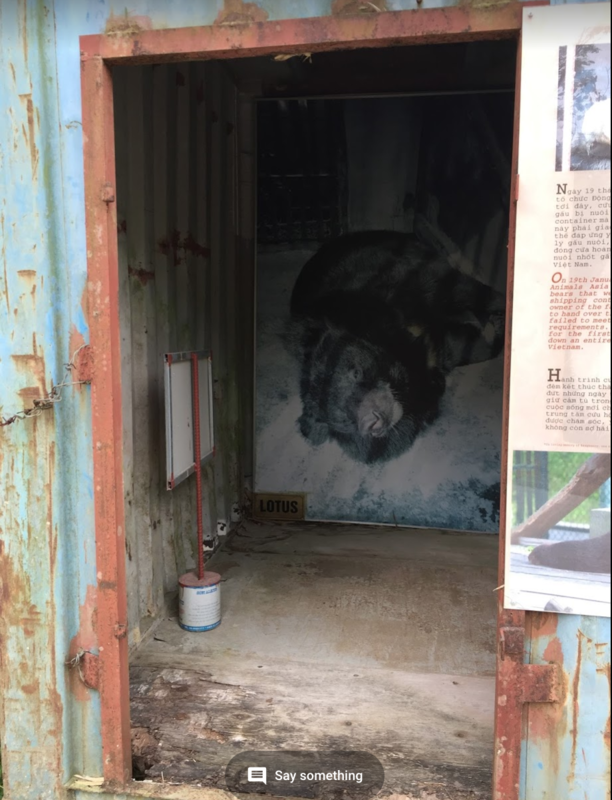 Bears are bred or taken from the wild and confined in cages no bigger than their bodies — or in huge shipping containers that are divided into individual windowless compartments. A catheter is inserted into their gall bladder (without anesthesia), and their bile is drained from their bodies and used in traditional Chinese medicine. 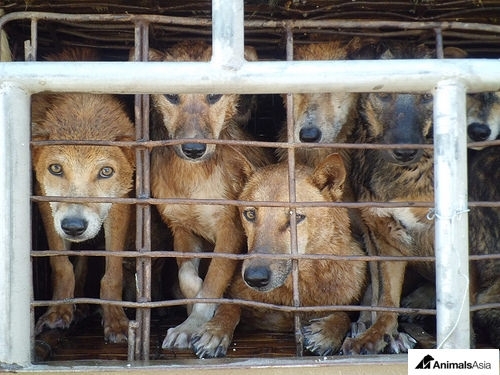 (Animals Asia works to end the dog meat trade in Vietnam and China). 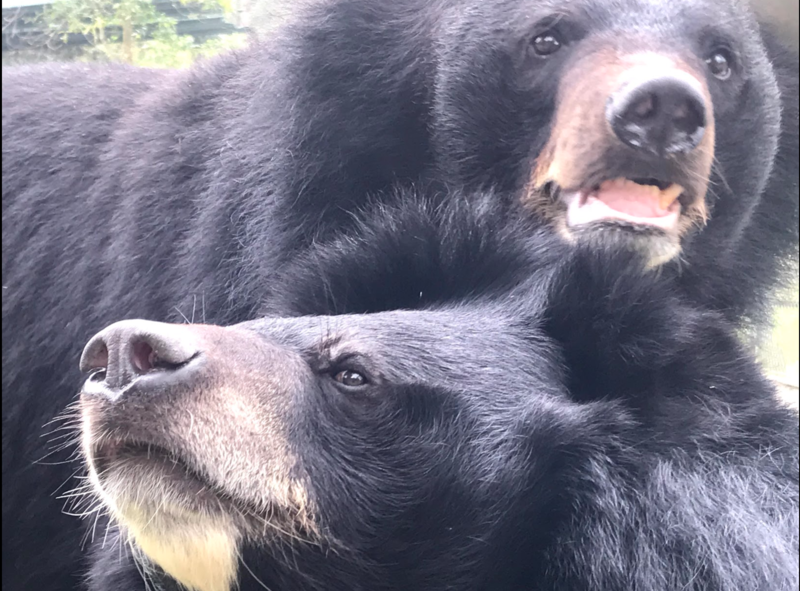 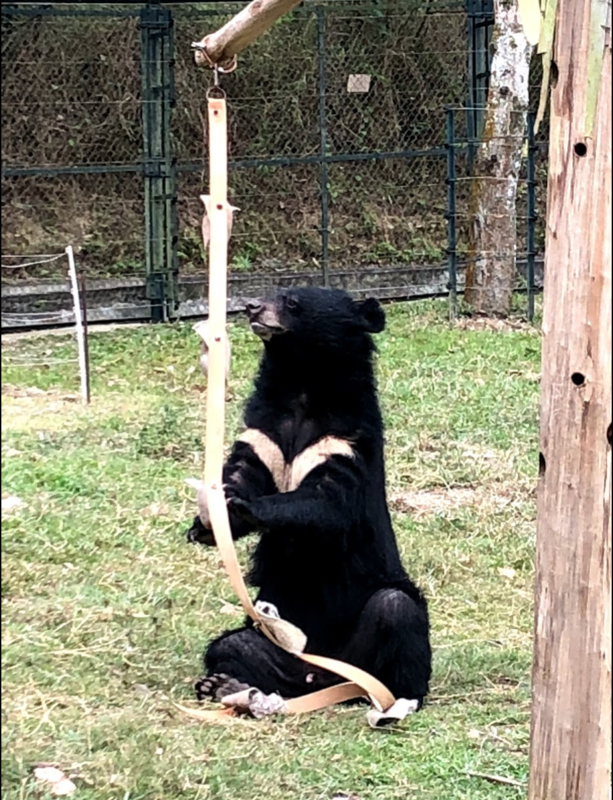 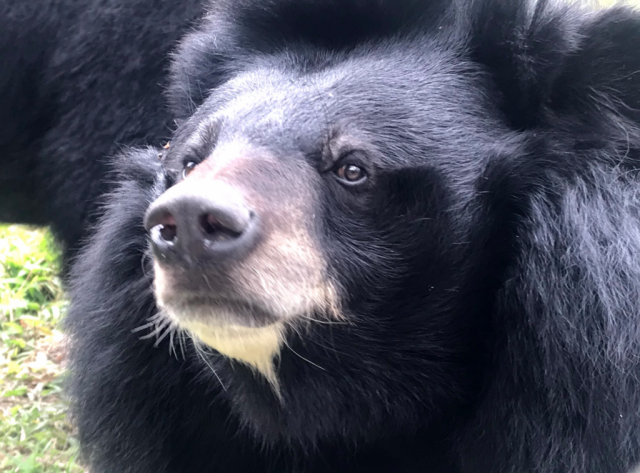 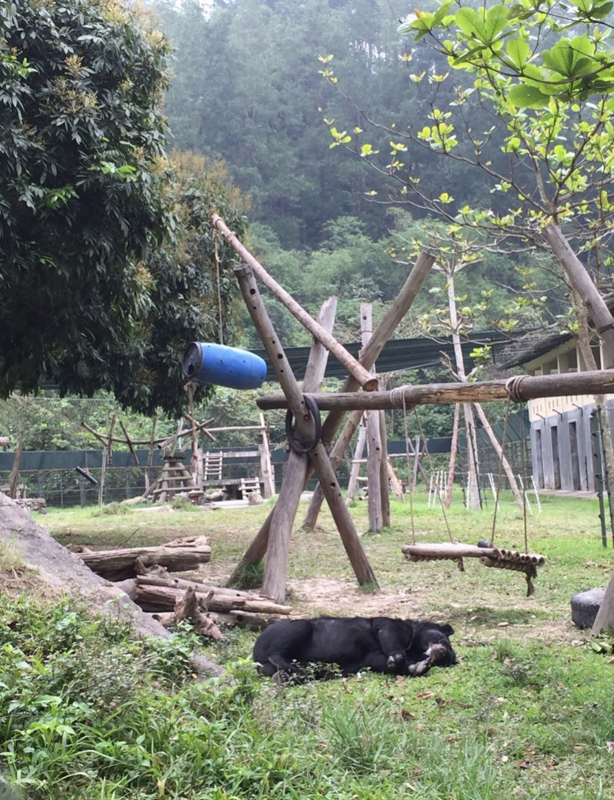 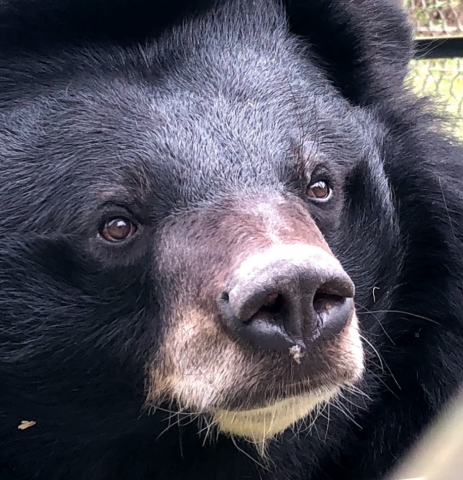 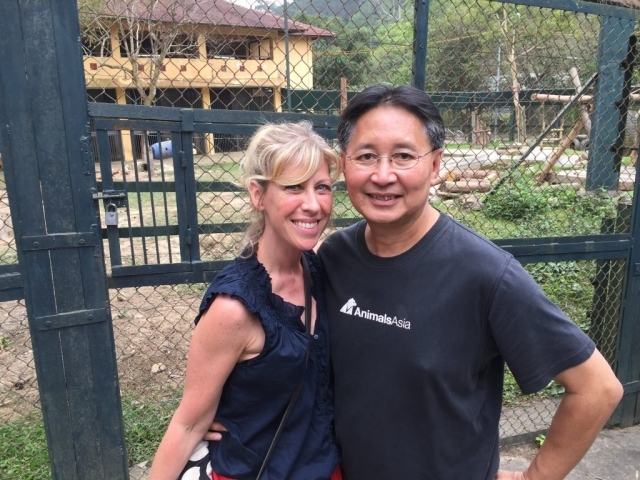 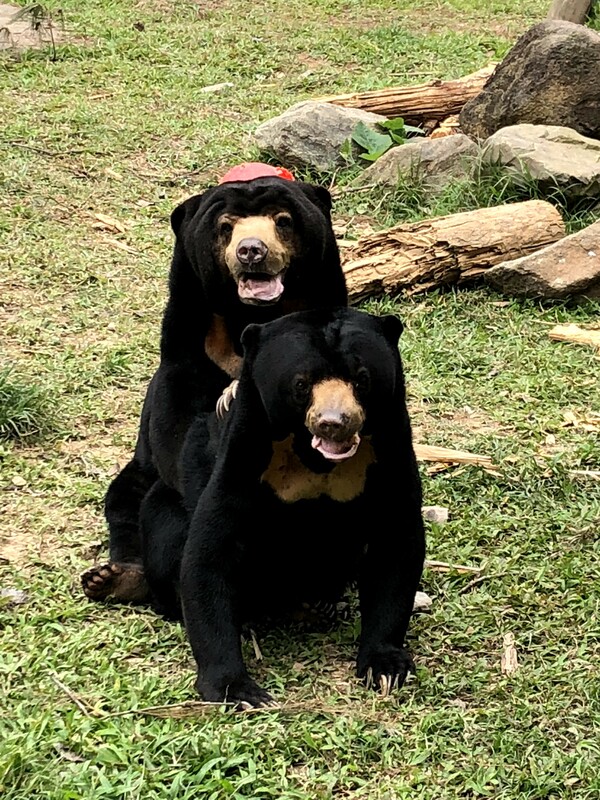 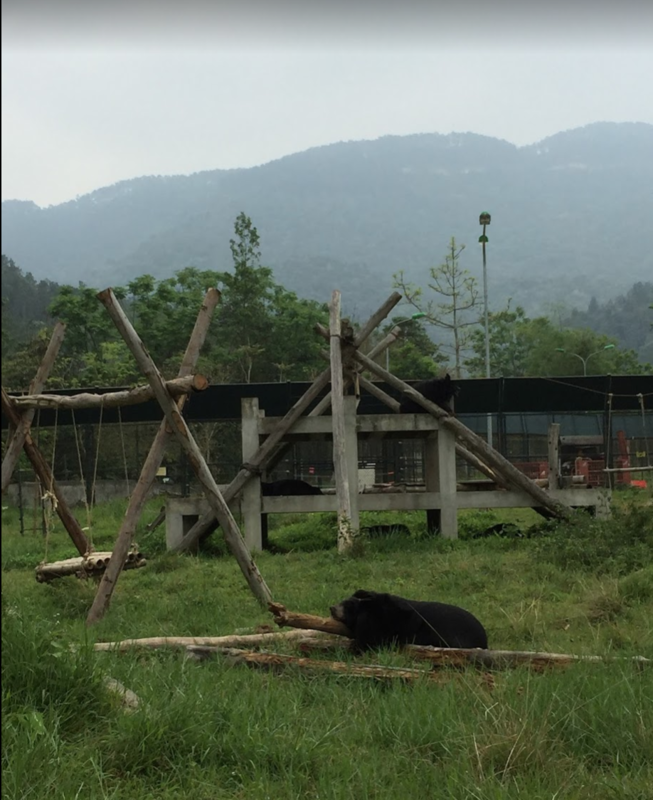 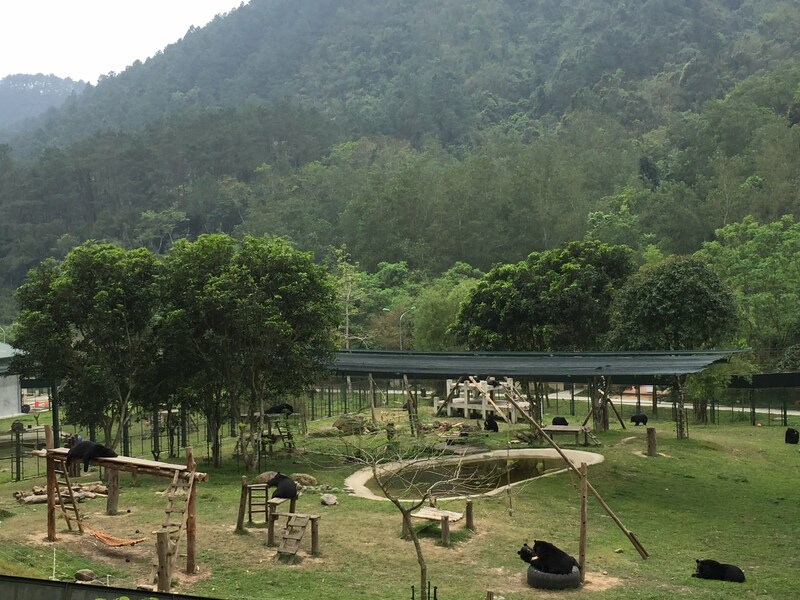 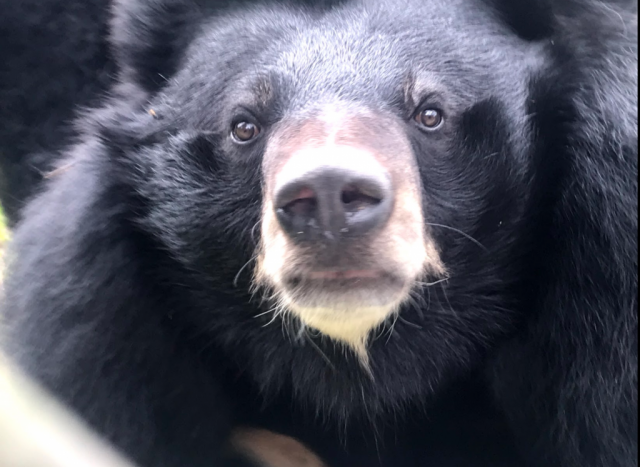 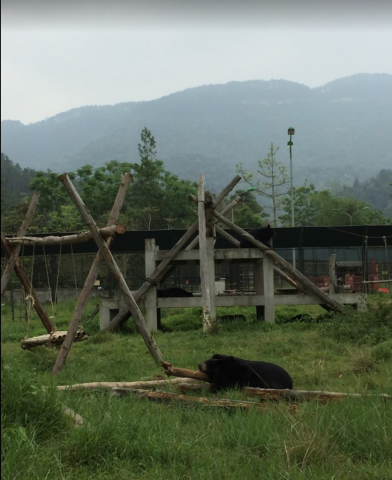 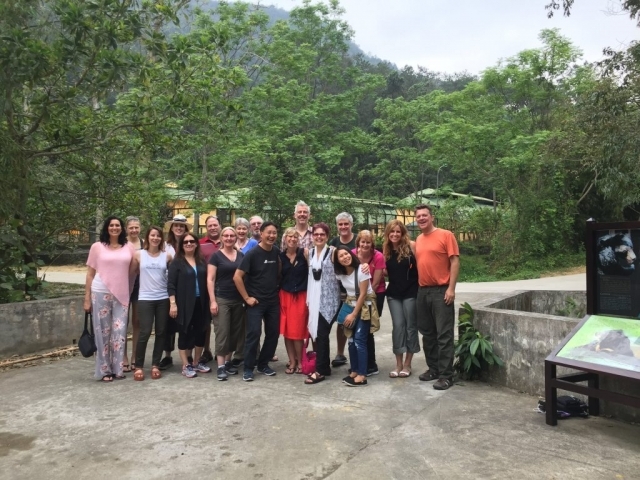 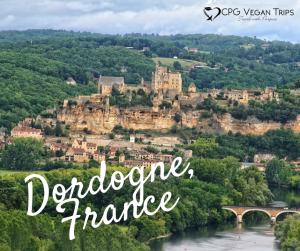 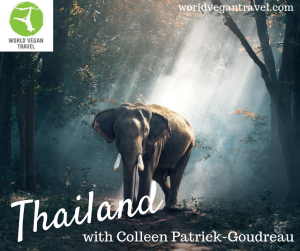 On our recent CPG Vegan Trip to Vietnam (and we’re running another in 2019), we had the honor of visiting Animals Asia’s Vietnam sanctuary, managed by the incredible Tuan Bendixsen and a dedicated staff, is spread over more than 27 beautiful acres at the edge of a nationally protected park, and everything they do is to stimulate the bears’ natural behaviors. 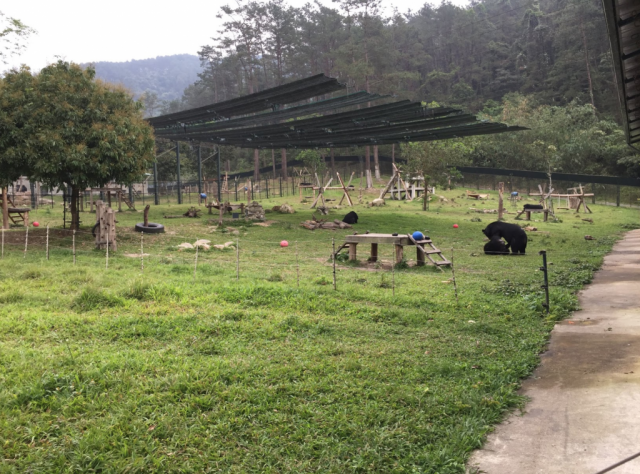 There are pools, trees, and various structures that help with the rehabilitation of the bears and cubs. 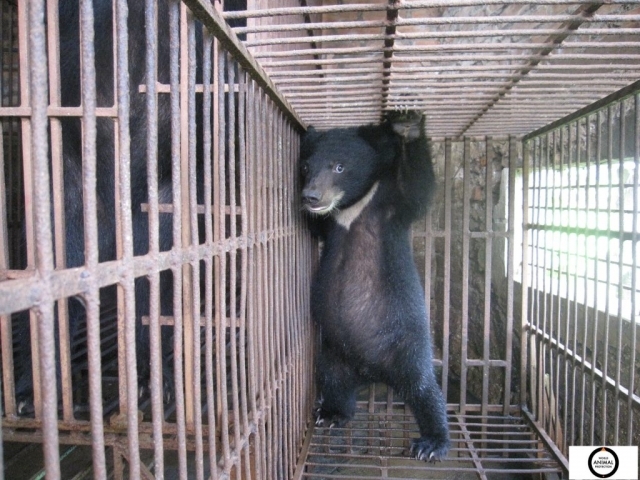 Having been confiscated from wildlife traders and poachers, both adults and cubs are not only anxious and angry when they arrive, but they often suffer from ailments such as gall bladder damage, broken teeth from biting on bars, and other body conditions ranging from emaciation to obesity from being kept immobile and being fed a poor and inappropriate diet. They also suffer from PTSD and other psychological trauma. 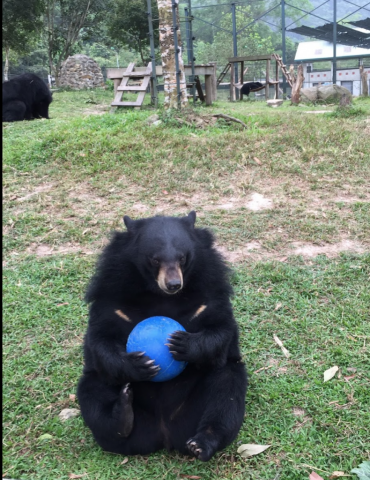 The good news is that living among other rescued bears in a quiet, safe environment, they heal. 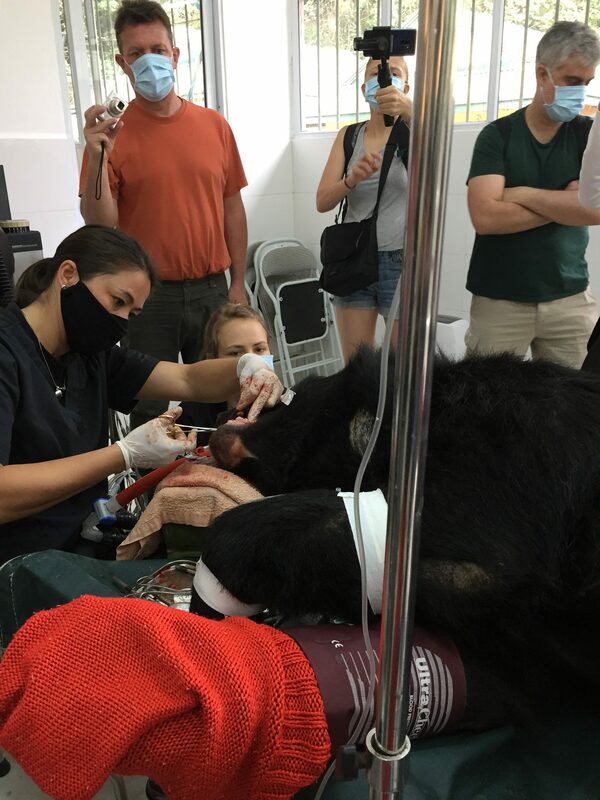 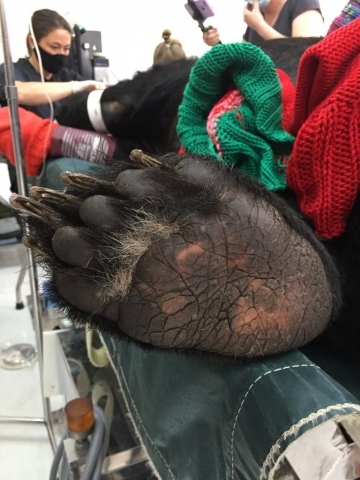 The sanctuary has surgical facilities that are equipped to give the rescued bears the best possible chance of recovery, and we were given the opportunity to see one of the bears in surgery having a sore tooth extracted. 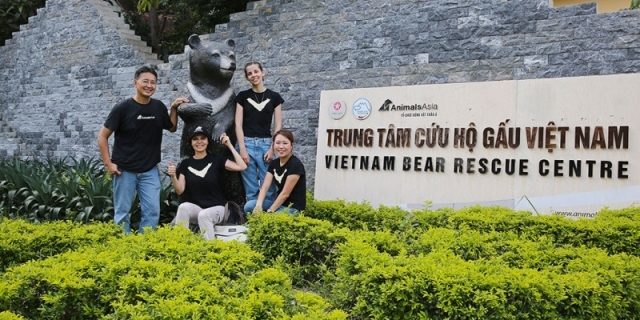 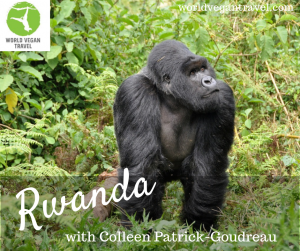 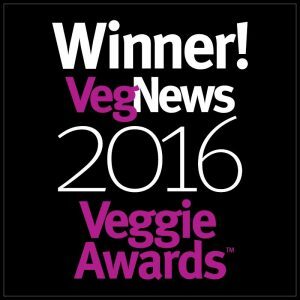 It has been my dream for 15 years to go and see the work of this amazing organization. As part of the CPG Trip to Vietnam, we were able to visit this sanctuary (and you can do so if you join us on a future trip!). 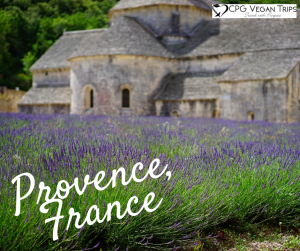 I hope you can join us on our next visit. 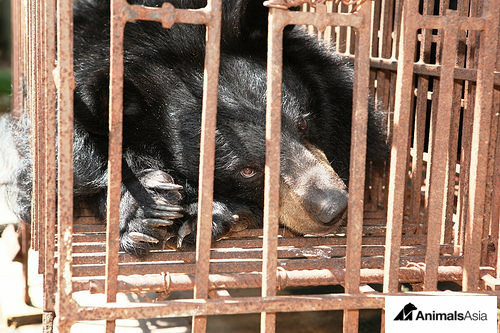 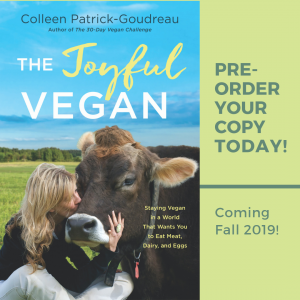 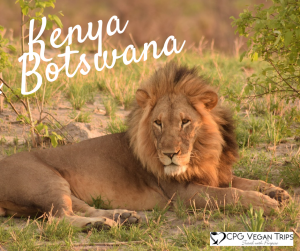 If you can’t, please consider supporting Animals Asia (and follow their work via their mailing list and on social media).